wayogray 2 years, 2 months ago. Galaxy S3 Mini CM14.1 (CyanogenMod 14.1, golden) Nougat ROM is an unofficial CM14.1 build. In addition to this official ROM we have the Lineage OS 14.1 for Galaxy S3 Mini. For latest updates, stay tuned to the Lineage OS device list page. Here is a list of updated OFFICIAL CM14.1 (CyanogenMod 14.1) for many supported devices and many Unofficial CyanogenMod 14/14.1 ROM updates. This CM14.1 is for Galaxy S3 Mini and this build is brought to you by developer 3liteking148. Earlier 3liteking148 had brought the CM13 for S3 Mini. 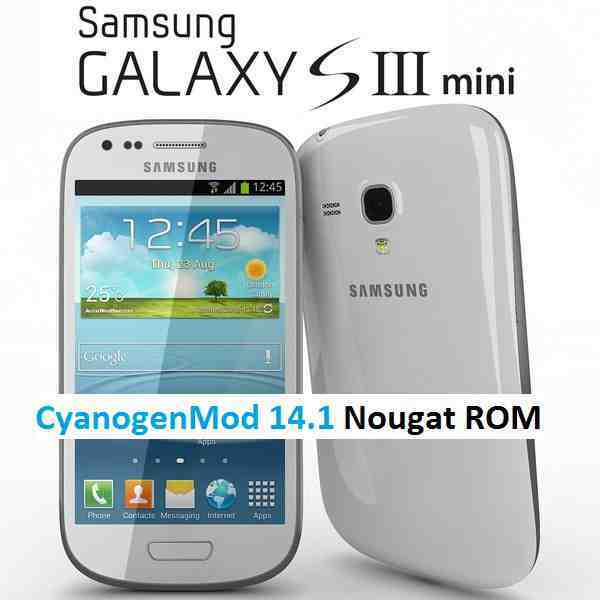 Download and Copy the GApps and Galaxy S3 Mini CyanogenMod 14.1 ROM ZIP to your phone. Reboot and Enjoy the CyanogenMod 14.1 Nougat ROM on your Galaxy S3 Mini. Copy the latest Galaxy S3 Mini CyanogenMod 14.1 ROM ZIP file to your phone. cual es el problema? what is the problem?